Alternate Ending (1m 24s, HD) If you haven't seen Krampus yet then I will not spoil the movie for you, but this ending is the same as the theatrical ending, but cuts before the big reveal. It seems kind of pointless to include this as it is almost the same as the theatrical ending. Gag Reel (5m 15s, HD) Some good laughs and lots of mugging. You can tell that the crew had a blast making the movie. -Dougherty's Vision: A very short look at the title character and the mythology that encompasses it. -The Naughty Ones: Meet the Cast: Should have been called Meet the Cast Except for Toni Collette. She is the only one of the main cast who is not interviewed. She is in the behind the scenes footage, but no interview. The cast speaks very highly of here and everyone seems like they had fun making the movie. -Krampus and His Minions: This is where the features took of for me. I love BTS stuff like this. Weta Workshop details each and every creature in the film. Lots of information. -Practical Danger: Here we see some of the stunts done for the movie and rigorous routine that everyone involved has to go through. -Inside the Snowglobe: Production Design: Here we are shown how the filmmakers were able to get the look and feel of the movie. They did a lot of things that you wouldn't realize was done. Behind the Scenes at Weta Workshop: Krampus (9m 54s, HD) This is a slightly longer and reedited version of the footage found in the other featurettes. There is some new stuff here, but it is mostly repeated elsewhere. Galleries (HD) Here a few still galleries featuring the theatrical posters and storyboards. The Packaging: Normal, boring, non-eco case with a slip case. Inside you will find the blu-ray, a dvd of the film, and an insert with a redemption code to be redeemed for an Ultraviolet or iTunes digital copy. Both discs have artwork on them which is rare for Universal. I really enjoyed Krampus. I saw it in the theater during its release and watched it again recently. I had hope that the special features would be good, given that there is a lot to talk about, but I was a bit let down. The commentary is fantastic and insightful. 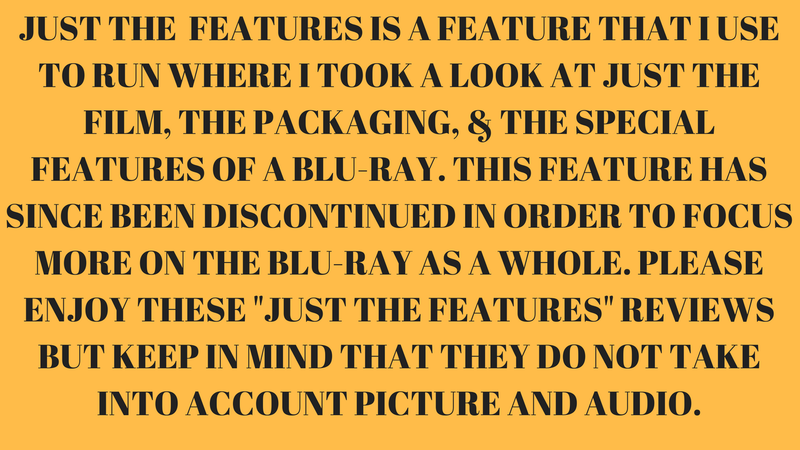 The featurettes are brief, but fascinating. The deleted scenes were wisely cut and the alternate ending is pointless. 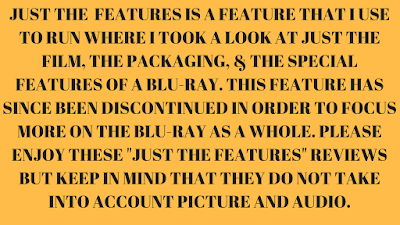 That being said, the featurettes and the commentary really make up where everything else is lacking. 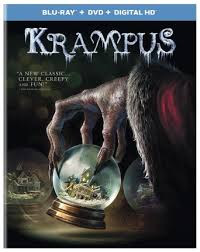 I wish that there was more about Krampus himself and all the different ideas that were brought in by the filmmakers. Even though we are given so little information about the making of the film, what we are given is good. Defiantly check out this blu-ray, but be prepared to be let down a little.